Two sizzling hot swinging jazz tunes from the ruins of 1949 Berlin. 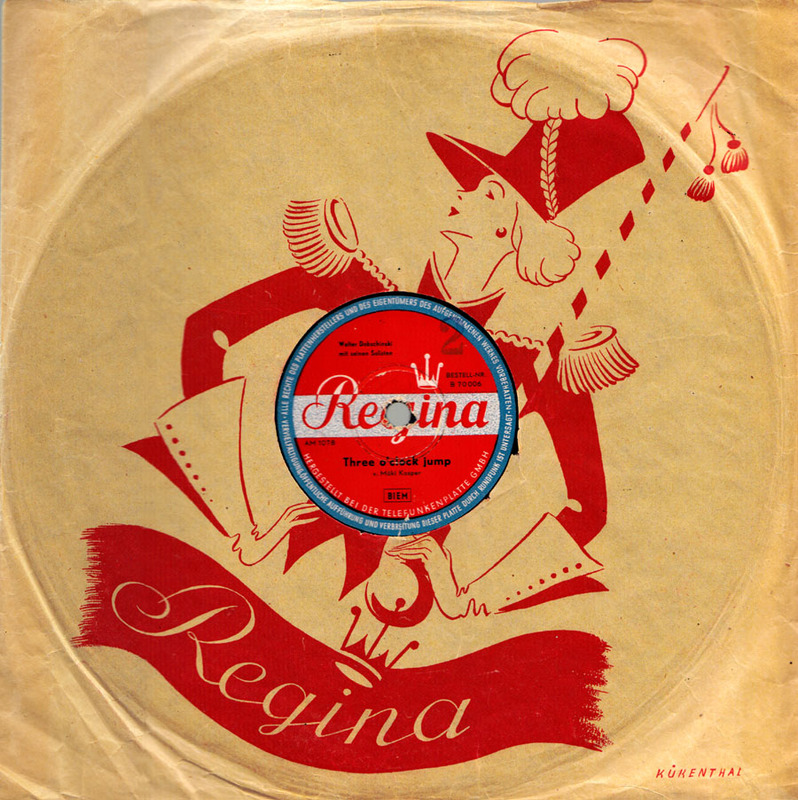 Walter Dobschinski and his orchestra recorded a lot of records for the East-German Amiga label but also for others, like this obscure Regina label. Before the war he played in Teddy Stauffer´s band. 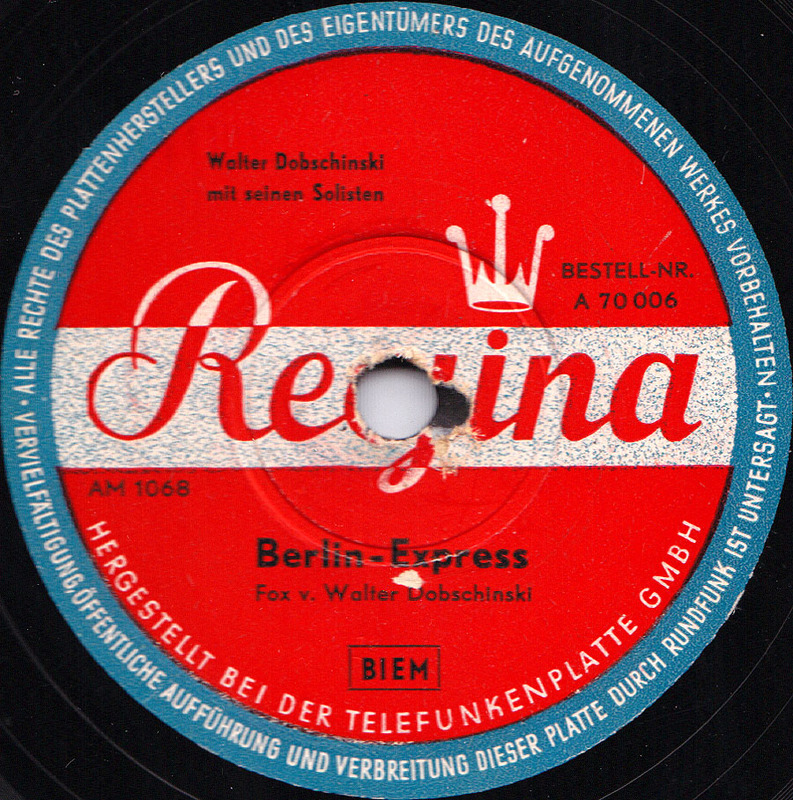 In 1947 he got a job at the newly founded Berlin radio and then started his own swing band. The trumpet player Micky Kasper wrote Three O`Clock Jump, a fast swinging tune complete with some nice trumpet and clarinet solo parts.